Grafton – Bruce L. Quilliam Sr., 72, passed away Saturday, Nov. 17, 2018. His beloved wife and best friend Jean passed away in February of this year. They were married and in love for 50 years. 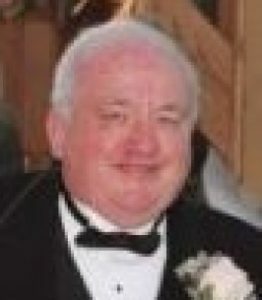 He leaves a son, Bruce L. Quilliam Jr. and his wife Jing of NewYork; a daughter, Robyn J. Quilliam and her partner Scott Foster of Worcester; three grandchildren, Andrew Quilliam, Ian and Seth Foster; and a niece, Kim Deely of Grafton and her three children, Sean, Matthew, and Thomas Deely. He leaves behind two sisters, Janet (Quilliam) Tompkins of Peoria, Ill. and Ilva Quilliam of Grafton, and his two brothers, Jerome Quilliam and William Quilliam, both of Grafton. Bruce was predeceased by his sister, Marcia (Quilliam) O’Neil. He also leaves numerous sisters-in-law and brothers-in-law, nieces, nephews, and friends. Bruce was born in Worcester, son of William Quilliam and Beatrice (Nicholson) Quilliam. He lived in Grafton much of his life; in childhood and then with his own family across the way from his parents’ home on family land. Bruce and his family moved to Wappingers Falls, N.Y. in 1982, and Jean and Bruce lived there for 33 years. He worked as a Vice President of Sales and Marketing at Perretta Graphics, where he traveled the world from the tip of South Africa to countries in Asia to countries in Europe. He returned to Grafton with his dear wife in 2015 after retirement. He renovated his old home to his liking and enjoyed it for several years, especially the yard and the kitchen as he was an excellent gardener and cook. He enjoyed spending time with his family, especially his grandchildren as he loved them dearly. Jean and Bruce cultivated an amazing flower garden for over 20 years. Every morning their ritual was to sit on the patio, watch the birds, and look out at their garden. Bruce was an extraordinary man who was very interested and learned in politics, history, and economics. An often stoic man, he was devoted to his family and would do anything for their well-being. He was witty, intelligent, caring, and walked with integrity. He was a great husband, father, and friend. He will be greatly missed. Memorial calling hours will be held Saturday, Dec. 1, from 2-4 p.m., followed by personal remembrances at 4 p.m. at Roney Funeral Home, 152 Worcester St., North Grafton. There is no burial. A family and friends gathering will be at Bruce and Jean’s house directly following the memorial service. A Book of Memories to share a story or message of sympathy with Bruce’s family is available online at www.RoneyFuneralHome.com.